Liquidware has just released new versions of its popular ProfileUnity and FlexApp solutions, now at version 6.8. The new releases obviously come with a number of new feature enhancements, but Liquidware is also claiming industry first innovations. 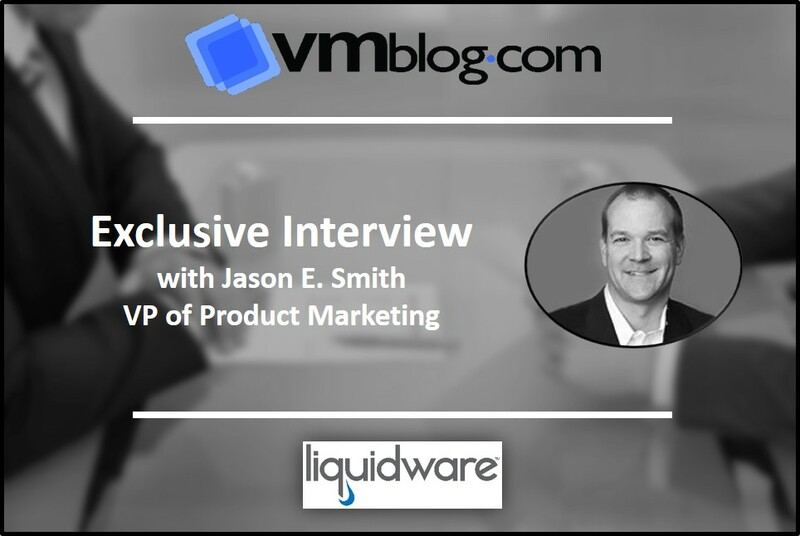 To find out more, we went straight to the source, Jason E. Smith, Liquidware's VP of Product Marketing. VMblog: Liquidware seems to be leading the charge on innovation in managing users and their workspaces. What's new in this latest version? Jason E. Smith: Yes, we're very proud that this latest 6.8 version of ProfileUnity and FlexApp provides more industry-first features, with an emphasis on helping our customers move to the cloud. FlexApp now has support for object-based cloud storage, such as Amazon S3, Google Cloud, and Microsoft Azure. We've also developed FlexApp Cloud Apps, turnkey pre-packaged cloud-hosted application layers that are ready for use and we are the first in our industry to natively support object-based cloud storage APIs. Our multi-cloud support provides our customers the flexibility to choose which object-based storage is best fit for them and with our new FlexApp caching feature applications can now start immediately as blocks of data continue to load from the cloud (or server message blocks), resulting in faster execution of applications and stability on unreliable networks. We've also announced support for Amazon AppStream. FlexApp enables one AppStream server to publish multiple applications thus minimizing the number of base images and servers user to deliver AppStream applications. VMblog: This sounds like a lot of emphasis on new cloud focused features. What else is new in this version? Smith: We see the ability to enable and support our customers' multi-cloud or, indeed, hybrid cloud strategy as very key. But, yes, there is more! The management console is now a licensing server that enables true concurrent licensing models and provides accurate in-use ProfileUnity and FlexApp license counts, which is especially useful in education, government and healthcare. We've also developed faster client execution with the startup of the agent being streamlined that can further reduce login times by several seconds. ProfileUnity is well known for its significant reduction in login times but, by reducing that even further, we continue to give back precious time to our customers and their users. If you want to watch a quick video to learn more, you can view it here. VMblog: We note that you now refer to Liquidware as the "leader in adaptive workspace management." What exactly is that? Smith: Well spotted! We believe that Liquidware is unique in its focus on managing the user experience from a platform-agnostic standpoint. With our three core pillars of functionality; User Environment Management, Application Layering, and Monitoring and Diagnostics we provide a comprehensive set of solutions in managing users' workspaces whether they be physical, virtual or cloud-based. Our raison d'être is all about enabling organizations to deploy a user desktop strategy that is adaptive and supports their business requirements. It's no longer just about ‘desktops', users operate in many diverse ways nowadays and want their workspace to be available to them wherever they are, hence Adaptive Workspace Management. VMblog: Microsoft recently announced their acquisition of FSLogix. What's Liquidware's view on that? Smith: Well, firstly, congratulations to our colleagues over at FSlogix! As you know, when Microsoft recently announced Microsoft Windows Virtual Desktop (WVD), there were a number of partners mentioned that would be providing support for the platform to extend and enrich it, Liquidware is one of those ecosystem partners. Profile disks and profile containers can be great - but there are many pitfalls you may experience if you rely solely on profile disks for your users. We recognized this back in 2014 and developed our profile portability technology that leverages a profile disk from any vendor or own ProfileUnity ProfileDisk. We see the acquisition as expanding on the capabilities of WVD to help their competitiveness in the market and our solutions are very complementary in helping to ‘extend and embrace' WVD. VMblog: We know that some readers have dismissed application layering from other vendors, but why should they consider FlexApp from Liquidware? Smith: I think some dismissed it because they had a bad experience with other less mature solutions in the market. FlexApp is a mature product, proven in its ability to provide greater user productivity and reduce costs. And now, with our focus on enabling to add cloud into an organization's desktop strategy, customers that have previously discounted this technology, really should revisit it and try FlexApp. One customer for example, Mohela, has deployed FlexApp to its team of developers and has allowed them to reduce the number of licenses it needs to purchase because they could remove them from base images and only deliver to users as needed. VMblog: Finally, what's coming next from Liquidware? Smith: With our emphasis on adaptive workspace management, we will continue to innovate and provide solutions for our customers that reduce costs, increase user productivity, further assist in security and compliance, and provide a seamless transition for them in their overall desktop transformation strategy - whether that be physical, virtual, or cloud - or most likely a combination of them all.